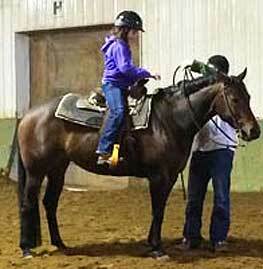 Our lesson program is focused on the individual needs of each rider. Learning, safety, and fun are our specialties! We provide all of the necessary equipment and a safe comfortable environment. We have both indoor and outdoor riding arenas and the facility is heated in the winter, so our program operates all year. We also host special occasions like Birthday Parties and Office events in our fabulous customer lounge with kitchen, sitting area and meeting room. If you are interested in signing up for riding lessons, scheduling a birthday party or event, please call us at 319-377-4091 or reach us through our Contact Form. We are available anytime!